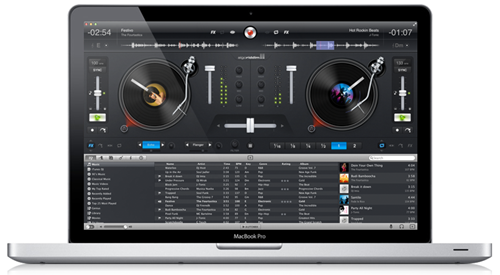 The new djay for Mac is now on available and on sale in the Mac App Store. The highly rated application has been available on the iPad and iPhone and has received positive reviews. The 4.0 update for the Mac version has tons of new features. They really took their time in bringing it out, but I would have to say the wait was well worth it! New features are too many too name so we’ll cover just a few here. There’s nothing worse than DJ software asking you to create another music library on top of what you already have. This update allows you to play your music on an iTunes-like interface. It even imports all of your saved playlists. You can then play, mix or record your sessions. Don’t feel like sweating? Just click on Automix and djay will mix a playlist automatically along with DJ transitions. Any cue points or meta-data created and saved with djay on your Mac, iPhone or iPad are saved to the cloud and transferred to the rest of your iOS devices! You are given a total of 4 color-coded cues you can assign to each deck; the software supports two decks (imagine two turntables with a mixer). The application also works with iTunes Match. This means you can buy a song on the go, play and practice on your iPad or iPhone, and have your progress saved on your MacBook when you get home! The software automatically finds songs with the same keys and pairs them together. You can then arrange the songs by key, or even transpose songs into different keys allowing you to create a better sounding track. Algoriddim designed djay for beginners and professionals alike. So feel free to attach any of the compatible peripherals. Attach a splitter cable to hook up headphones along with speakers to help you with pre-cuing songs. The software allows microphones as well and even a physical controller. For compatible controllers be sure to check out the Algoriddim website. Although the djay is available for the iPhone, iPad and Mac, they are all separate downloads with their respective price tags. As of this writing, the iPad and Mac versions are priced at $19.99. The iPhone version is currently on sale for 99¢.